The light has shine .. and showed me the way ..
leading me out from my misery from this long weekend tourment to make a decision which is so hard to decide. And hence .. I've decided to stay. What is it all in a JOB ? I have been brought into this world with the "unfortunate" choice of not being to run a family business, hence having dillemmas needed to overcome by choosing a job from a mass of jobs out there. Sometimes, it's not a matter of choice as well. While those have sound businesses to resume their responsibilities into, they on the other hand are dying to buy themselves out to venture into the unknown world. Money = Temptation = Evil. After having a loooooonnnnggg discussion with my Boss last Friday night, I came up with a conclusion to stay. He lifted up the weight in my head and heart so easily, and let me breathe again. Wise words and advice from a wise man. You can say that he was the main reason I stayed .. and also the company. Well of course there are other reasons as well ... i.e. my family, friends, son, yadda yadda yadda ... freedom in my work, freedom of choice of what I wanna pursue, prospects, masses of knowledge waiting to be absorbed, and abundance of opportunities waiting to be experienced. And best of all, he sent me a long email the following day .. hoping that I will stay. Come on .. nothing beats that. Which Boss will take the time off to actually think of you and believe in your abilities and potential to actually write you a long mail in a SATURDAY morning?! And the email .. really damn gam tong lor ... And besides, I have a job which every person will kill for .. you can get nothing like this anywhere. I would like to extend my thanks and heartfelt gratitude to everyone out there for believing in me. Believing that I can do it .. and giving me opportunities to do it. Especially to my Boss (MN) for grooming me to be who I am and who I will be. To my dad .. whom has always been there for me .. loving me unconditionally .. and making everyone in the family jealous (especially my mom) for loving me more over everyone else. Biasa laa ... Daddy's Girl !!! 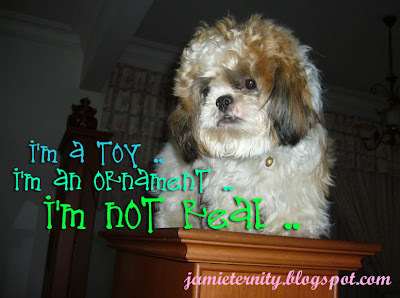 Schnappi is not a DOG. Period. I've got my new phone. So you people out there can stop laughing at the junk I've been using for the past 2 years. Despite all the temptations from the super slim phones in the likes of my deary-beloved-Samsung U600 *chokes in disappointment* ... or the Red-Scarlet-N76 *sigh* .. I turned to the phone which is bigger in size than the existing one. But hell .. it's cool .. functions are great .. eliminates whatever phone culture-shock I will be getting by changing manufacturers .. and hell, does the blue-black interface roxxxx !!! Honestly .. I'm happy with it and not consoling myself over it! Well .. if they put the Samsung U600 in front of me now .. well, YES .. I'm consoling myself !!!! Just when Geline found out about my new moby, she said she'll be getting the K850. 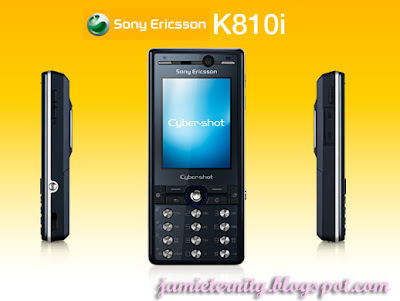 I did checked it out on the website, but it doesn't say much .. so I went ahead with the K810. Until she told me ... it's a 5mp camera ! Cybershot somemore ! With the Cybershot-3.2MP camera .. I'm gonna cam-whore so much, that my phone won't be able to take it ! Hahaha !!! Glad you finally made a decision! By the way, you looked great that night.. Thanks ... it was a toughie! Even if i made the decision to leave, it will be with a very heavy heart. I looked great on which night? Got me stunned there !